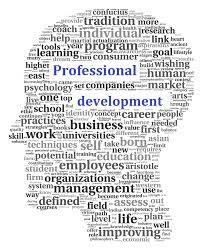 PURPOSE: Encouraging Boulder-based arts administrators to deepen their knowledge of arts management best practices and engagement with other arts leaders though training at the University of Colorado at Boulder Graduate Certificate in Arts Administration. This certificate will instruct on best practices in arts administration from the University of Colorado’s esteemed College of Music. The certificate will provide training for anyone who has already embarked upon a career in arts management, or those contemplating such a career. The program is design to offer students the opportunity to gain valuable knowledge and depth of understanding of the goals, objectives, and perspectives of those in arts management. Learn all about the program by visiting the College of Music web page. After the deadline, staff will send all applications to the panel for review. The panel consists of the five City Council-appointed Boulder Arts Commissioners. At the meeting on July 17, 2019 the panel will ask you follow up questions about your application. Final decisions will also be made at the meeting. If you are awarded a scholarship, staff from the Office of Arts and Culture will contact you to complete any necessary paperwork. 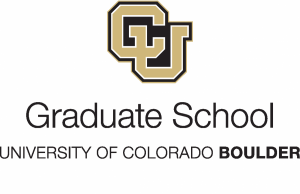 Details: Open to students admitted to the University of Colorado at Boulder Graduate Certificate in Arts Administration program for the Fall 2019 / Spring 2020 certificate program. You may apply if you are awaiting admission into the program. DEADLINE TO SUBMIT APPLICATION: Friday, July 5, 2019, 11:59 p.m.
Open to students admitted to the University of Colorado at Boulder Graduate Certificate in Arts Administration for the Fall 2019 / Spring 2020 certificate program. You may apply if you are awaiting admission into the program. Deliberation. Applicants are expected to attend the July 17, 2019 meeting of the Arts Commission for a live, group interview with the Commission members. Decisions will be made at the same meeting. 2018 grant report forms are on the Boulder Arts Commission grants software. Log onto the same account used to apply for the grant, and look under “Follow Up Forms’” for the reporting form. After you you submit the report you’ll receive email confirmation and copy of the report via the email that you have included in the report. Contact Lauren Click at clickl@boulderlibrary.org or 720-564-2355 if you do not receive email confirmation from the system.